The kind folks at PearlMountain, the makers of FotoJet Designer, have offered five (5) licenses to five lucky DCT readers. At the time of this writing each license is valued at $39.99 (US). Each license provides the full version of the Desktop software. 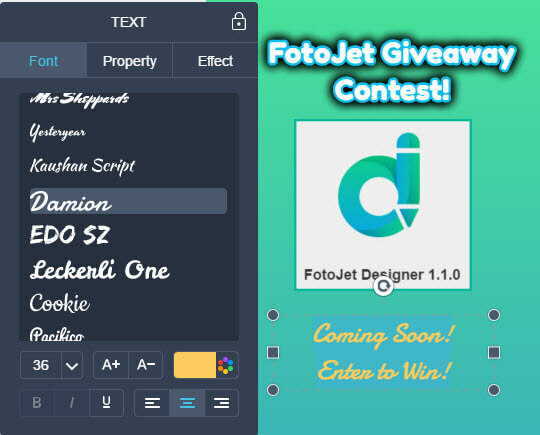 FotoJet is a free online graphic designer, collage maker and photo editor where you can turn your photos into amazing works of art in minutes! It’s developed by PearlMountain Limited, a dedicated graphics software developer. 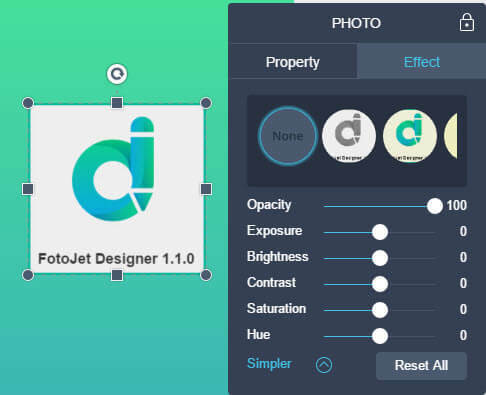 From the very beginning, it has been brought many powerful, and easy to use photo editing tools for the worldwide users. FotoJet installs quickly and easily. It works like any other Windows installation and there are no gimmicks or gotchas to watch out for. This is always refreshing. Each of these categories offers various styles as you can see in the above image. Beyond the provided templates, you can create your own as well. I want to begin by clearing up what will soon become painfully obvious– I am not proficient at graphic design by any stretch of the imagination. To be totally honest, I’m really bad at it. Now that that’s out of the way, I will show you a few images of my bumbling attempts to create a simple poster. As you can see, there are many options to change the image to your liking by applying a combination of properties and effects. I played around with the text for a while trying out various fonts and effects. The sheer number of choices is overwhelming and I could have spent many hours with this. It is fun and the changes are immediate. It’s really nice when you can click on a font or effect and see how it will look without having to click out, then back in. A great time-saver and it affords instant gratification. This simple example took about ten minutes. It was easy to use, intuitive, and fast. You will notice there is a FotoJet watermark in the above image. Winning/buying a license for this useful product will eliminate it. Check out the version comparison chart at the beginning of this post to see the differences between the free and full versions. 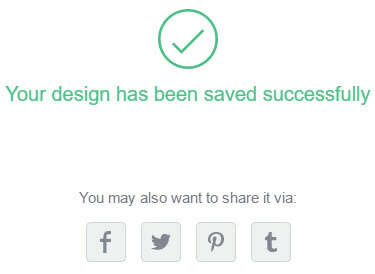 Once you save your Project, FotoJet will also offer to share it with popular social media networks. This is a nice touch. FotoJet Designer is a versatile program. 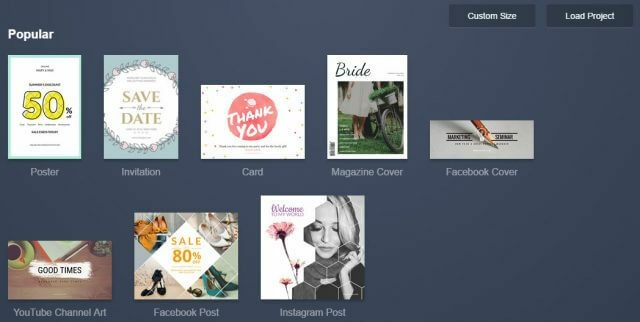 I can see where it could be extremely useful for anyone who is interested in quickly creating posters, cards, invitations, social media headers and posts. I can recommend this program without reservation. 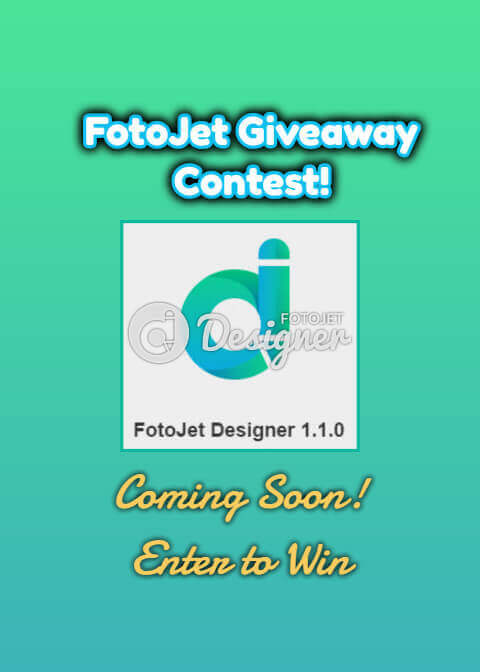 We’d appreciate it if you’d take a moment and submit a comment telling us why you’d like to win FotoJet Designer. However, submitting a comment is not required to enter this contest and will have no bearing on your chances.